A performative walk starting at Stroud Brewery to christen the new Chartist porter. The walk will commence at the Brewery, with explanation, contextualisation and performance; then wend its way along the canal to Wallbridge and then along the old railway line to Dudbridge. We will then climb up to the Bell for more porter and thence to the top of Selsley Hill. The walk will be interspersed with performance, bringing the local and national Chartists to life in the landscape. Walkers make their own way back to wherever they wish to go: that’s the Chartists’ seventh point. We should be finished on Selsley by 4pm. 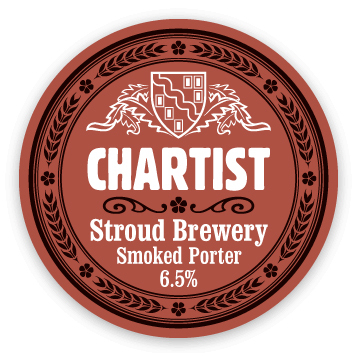 A performative walk starting at Stroud Brewery to christen the new Chartist porter. The walk will commence at the Brewery, with explanation, contextualisation and performance; then wend its way along the canal to Wallbridge and then along the old railway line to Dudbridge. We will then climb up to the Bell for more porter and thence to the top of Selsley Hill. 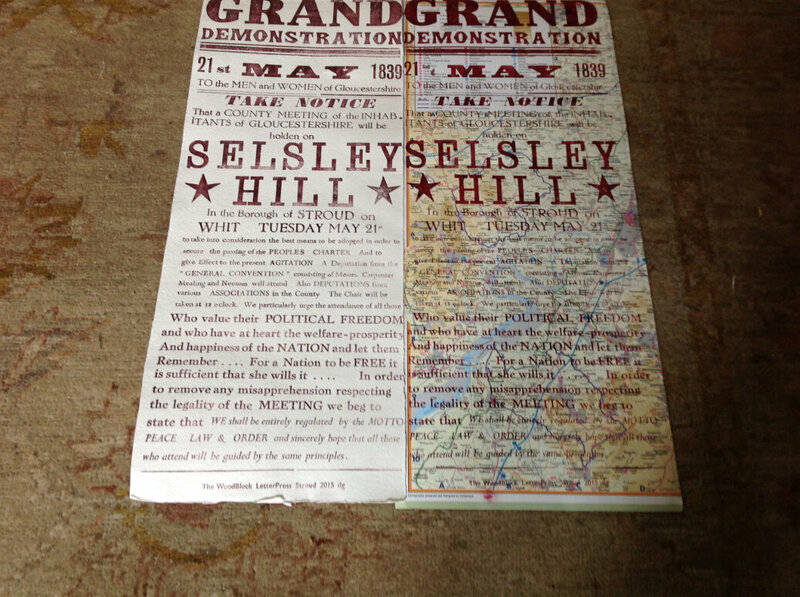 The walk will be interspersed with performance, bringing the local and national Chartists to life in the landscape. Walkers make their own way back to wherever they wish to go: that's the Chartists' seventh point. We should be finished on Selsley by 4pm. Stuart Butler will lead a performative walk through the 18th and 19th centuries, meeting atte Ye ALE House: time for a 4pm drink and a chat about Chartism and the workhouse at the top of town. Then a walk thence, via a history of riots, anonymous letters, mass meetings, strikes, slave owners and the Black Atlantic. The tour will then reach the cemetery where Angela Findlay, resident of the Cemetery Gate Lodge and artist of the 2009 installations Re-dressing Absence, will lead a stroll around the cemetery to reveal the history of the workhouse and the paupers’ graves. Visit Angela’s Website by clicking here. The walk will finish by 6pm, leaving you lots of time for getting ready to go out again. Visit Angela's Website by clicking here. A first Sunday walkout for August! Hope you can join me on foot or online. A photo walk as a contribution to the Find Another Bath project. I want to gather images of the plaqued and unplaqued homes, visitors and residents of Bath, with a special interest in exploring the legacies of slave ownership. Part of the walk will take place along the National Trust’s Walk to the View and I hope we will find and share other views as we go. Much of the walk will be in the City but we will finish in the fields overlooking the Abbey and the view west. The walk goes ahead regardless of the weather , I’ll do a second email shot nearer the date. I am very keen to discuss with you a cycle of walks based on this past few months work and building on the fringe walks. The walk on Sunday will be a contribution to the Find Another Bath project and I really hope that together we can capture images and sounds for future exhibition. 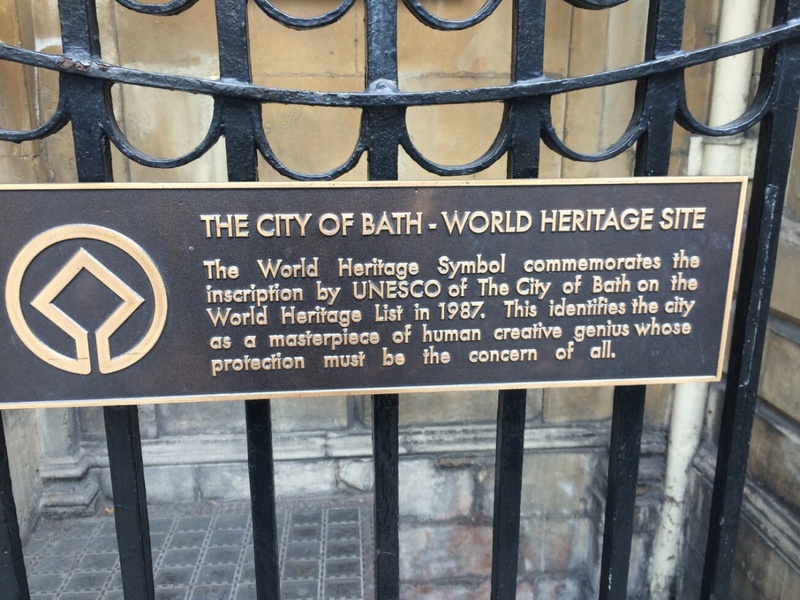 When we start asking questions about the obscured heritage of Bath, thinking the difficult thoughts of legacy, where does it take us? In the hurly burly summer season city can we find another Bath. Is it hiding in plain sight? Maybe on Sunday 7 August we will capture a few glimpses of that other Bath. Please join me on foot or online! Let me know if you can be there and do share this widely. Here is reminder of a date for your diaries. Sunday April 3 the next walkout on the enchantment! I saw the exhibition at Tate Britain the other week Artist and Empire very powerful…not hiding away those huge dramatic Empire era paintings..but providing another level of truth and engagement about the stories they tell. This in a way is what I am trying to do with the architecture of Bath and the River Avon landscape…find a way of both enjoying it but discovering traces and facing uncomfortable legacies and making sense of our times as we walk. Anyway I do hope you will be able to join me on foot or online on Sunday April 3! Walking from Bath to Bristol along the River Avon, Leaves 0900 from outside 44AD gallery by the Abbey in Bath. Please note an earlier start…this will be a full day of walking…back at Bath at station around 6…. About 16 miles or so to central Bristol. Nice pubs and spectacular scenery on the way. This is a recce for part of the project I am developing around revealing, facing and making creative responses to the legacies of the Atlantic slave trade. On foot and online I hope you can help uncover the stories, find ways to tell them and generate contemporary resonances. 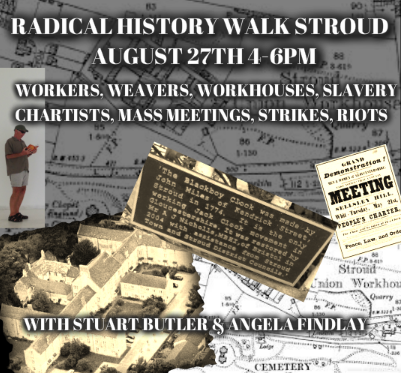 Here’s a link to the whole route but I propose to break it at Bristol and on another Sunday day walk up from Avonmouth to Bristol, and in Bristol walk the slavery trail. Seems a more appropriate direction of travel…..
Feel free to join for all or part of the walk. Just let me know! Please share and circulate this to anyone who you think might be interested. More details to follow. On Sunday 6 March I am writing to invite you to the next walk in my year of walking out on enchantment! This is the walk that was kind of muddied out at the start of the year and begins perhaps the development of a longer walking project reflecting on the legacy of slavery. Short version is that its a walk out from Bath to Saltford. Walk mainly along the river on the old two path to Saltford. At Saltford you could get a bus back into to town or leave a car …. I’ll leave you to sort that out. I will be looping back and walking in to town on the old railway line. Here is a link to the route I worked out for the project that kicked this off a couple of years back finishing at Cleveland Pools…but thats another story. This one starts and finishes at 44AD. Back in Bath around 4 depending on how long we stop at the pub in Saltford! I do hope you can join me, bring cameras and notepads and iphones etc Our destination is Saltford Brass Millhttp://www.brassmill.com/saltford_brass_mill_005.htm where goods were made to sell in exchange for human beings…. …so this walk begins another stage in exploring the local connections to the first leg of the Allantic Slave Trade and I hope you will help me uncover and explore the stories along this route, consider the legacy and generate resonances. Please share this and invite others to join us. On foot and online. I’ll be tweeting on the account below, then sharing and writing up eventually on my blog.